With over 40 years experience of cutting tool manufacturing and reconditioning, you can be sure that our reliable team understands how to meet the needs of our customers. Precision Tool specializes in manufacturing precision cutting tools for use in a variety of specialized cutting applications. 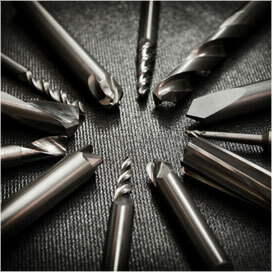 Precision Tool’s CNC technology guarantees consistent quality in each and every tool. With over 25 years of cutting tool experience, Precision Tool has the capability you need to manufacture custom tooling solutions. Our team at Precision Tool is dedicated to serving you. We’ll be there to help from the beginning of your order to delivery and beyond. Our staff is proficient in assisting you with your specific application. We recognize that each customer has different need’s and we pride ourselves on being able to meet the individual requirements of each customer. With over 40 years experience in tool manufacturing and reconditioning, you can be sure that our reliable team can provide the very best quality and service. Our years of experience mean that we understand how to meet the needs of our customers. Precision Tool’s CNC technology guarantees consistent quality in each and every tool. Our 6-axis CNC tool grinders manufacture and recondition carbide and high-speed steel tools of close tolerance and complex geometry. Our CNC technology and experience allows us to custom manufacture your cutting tools or return them to original geometry. As a distributor of a variety of cutting tools, live tooling, quick change chucks, setup reduction, and tool holders, Precision Tool can help your company maximize profits. In addition to tooling solutions, we also are the largest online distributor of Pelican Products, the toughest and safest flashlights and hard sided cases available.